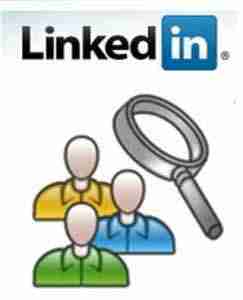 Gain the Benefits of Having a Personal LinkedIn Consultant. Gain professional insights to guide your out of the maze of information overload on how to use LinkedIn for your Business with these tips and ideas. There are so many ways to use LinkedIn for business, so it’s easy to get overwhelmed and confused with all the information that you’ll find out there. Some people just give up altogether, which is a shame because they’re missing out on the tremendous benefits of being an active participant on this online space. If you’re new to using LinkedIn for business, you don’t need to spend hours figuring out how everything works. Take one of our courses for LinkedIn and simply focus on these 5 essential LinkedIn tips and you’ll be able to get the maximum benefit from your time spent on LinkedIn. You can benefit by learning how to use LinkedIn for professional networking, business connections, and meaningful marketing with this ultimate tips for using the LinkedIn platform more effectively. Read and then implement one or more of our 5 Essential Tips for LinkedIn Business Success and enjoy a greater presence on LinkedIn. Did you know that thousands of people are searching for someone offering your product or service as we speak? LinkedIn has a search function that allows its users to find people and businesses based on the keywords in their profile, and I don’t need to tell you that it’s the first three results that get the most exposure. Imagine that – hundreds of people finding your profile, and your business every single day! All you need to do is to target the right keywords in your profile and you’ll be appearing in those coveted spots ahead of your competition. If you’re serious about using LinkedIn for business, then you absolutely need to be a part of groups that are relevant to your business. Typically, people will join groups that are comprised of their peers, and that’s fine. For example, someone who is a financial advisor would join a “financial advice” group. The thing is, you aren’t going to reach your customers this way. So instead of “following the herd”, you should think about which groups your potential customers are spending their time in and join those groups. Sometimes, you’re not going to find a relevant group, or you may want to step up and be a leader in your niche. Either way, it’s a good idea to create your own group and invite your target audience to be a part of it. Not only will you position yourself as the expert in your target market in the eyes of your potential customers, you’ll also gain the respect of other experts in the field. Be sure to initiate and promote discussions though, as you don’t want your group to be perceived as “dead”, which will have the opposite intended effect. When you’re using LinkedIn for business, you’ll be tempted to just post up your marketing message and try to get customers in that way. This is a big no-no on any social networking site. Instead, you should aim to start and join conversations related to what your business has to offer. That way, you won’t be perceived as a blatant marketer and instead be respected as an authority and a real person. This will attract people to connect with you and want to find out more about what you have to offer. Finally, using LinkedIn for business is all about growing your influence, and as such you’ll want to grow your network connections as much as possible. To do this, you should enable the LinkedIn Open Network (LION) function on your profile so that you will be able to accept all incoming connections. With all your activity on groups, Q &As and other peoples’ conversations, you’re bound to attract potential clients, partners or simply people who are interested in what you have to say. Once they add you to their network, be sure to engage them and build up the relationship further. 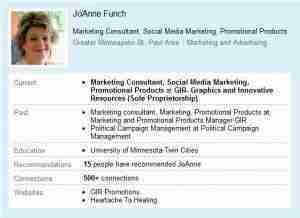 If you would like additional assistance to employ these hot tips, let us help you create a professional done-for-you LinkedIn profile that gets people clicking. All this may sound daunting at the start of it, but you don’t need to master every single one of these techniques right off the bat. Just have fun, keep an open mind and your LinkedIn for business efforts will slowly but surely pay off in the long run! Gain the benefits that using the best features of the LinkedIn platform at their best. It’s a fabulous tool for consultants, business owners of all sizes who are seeking clients and publicity, and more. 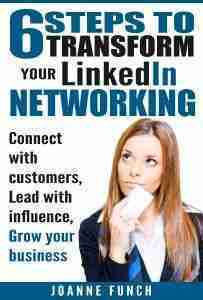 Gain the benefits of using our Help with LinkedIn for Business. Nice article JoAnne!LinkedIn is very important especially for small businesses.You can use the many forums on LinkedIn to share the knowledge you’ve gained in your area of expertise. This is a great opportunity to win new business or at least find prospective clients to pitch your business to.